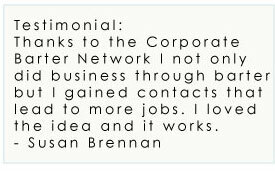 Corporate Barter Network's national affiliation with Do Barter, provides a convenient medium for local clients to trade with thousands of other businesses nationwide, expanding the possibilities for all involved. It opens the door to a broader range of products and services, as well as a greater marketing platform for your company. 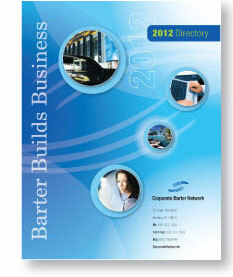 Read More...Barter means wholesale buying power.